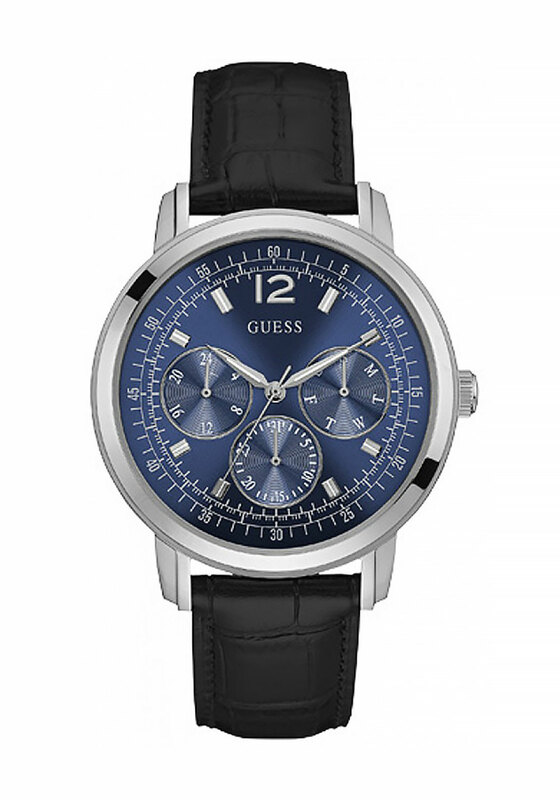 Featuring a black genuine leather strap, this sophisticated men’s watch by Guess combines sport and elegance. 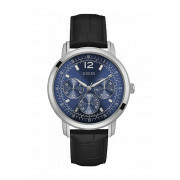 The multi-functional navy face features silver numerals and dials. Presented in Guess packaging, this watch is also water resistant.